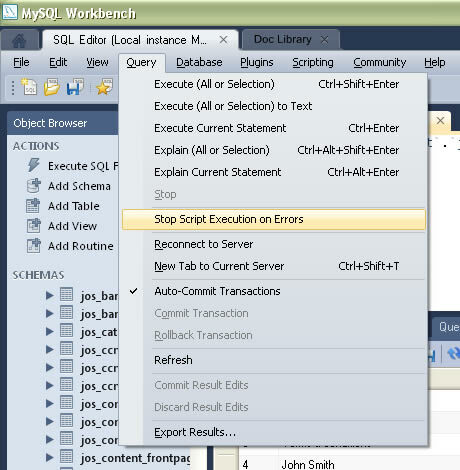 I'm using MySQL workbench to import a Joomla sample_data.sql file into my local database. I want it to continue importing, even if an error occurs, by skipping the line that caused the error. Is there something I can prefix the SQL with to prevent the query from halting at any errors? It looks like Zimbabao's answer will work also. Not the answer you're looking for? 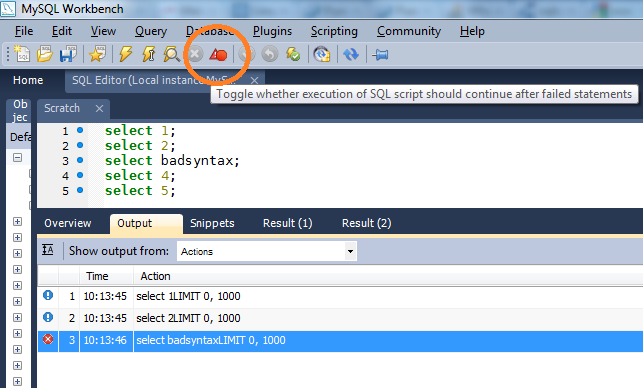 Browse other questions tagged mysql halt or ask your own question. How to go to next statement in MySQL if current statement fails? can get mysql to continue after group_concat_max_len exceeded?